Talking of people that are growing on me, seeing Victoria take Toff under her wing shows that she’s more than just cutting lines and a mane of hair. Although judging by the clips of next weeks show, we’ll be seeing the former pretty soon. And I’m a tad too excited to see Francis and Fred back!!! I do like the Boulle-Bentley combo. It’s a perfect combination of inappropriate comments meets stiff upper lip. If we must talk of JP… No, I don’t think he’s playing a game. But I do feel like he’s convinced himself into his heart wanting something his brain can’t comprehend. And we can’t go without mentioning some of the new additions. I was lucky enough to meet Akin a couple of weeks ago – with Sam – and he seems like a lovely guy. But I don’t know if I can bypass the fact that he is clearly #TeamJP. And Emily; what can I say except ‘excuse me, you forgot your wooden spoon’. 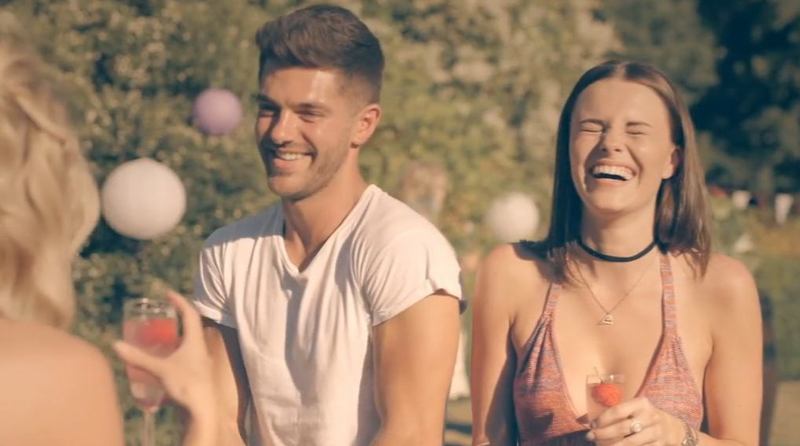 Made in Chelsea in on E4 every Monday at 9pm.